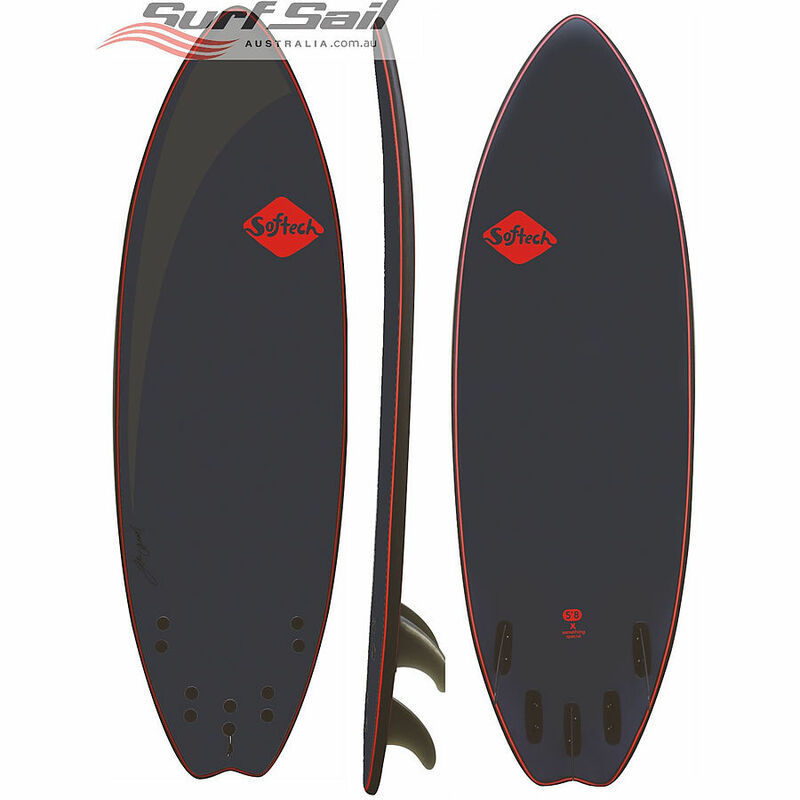 4	stars -	"Review for Softech 5 ft 10 inches Tom Carroll Signature Model Softboard" Mark Taylor This Softech 5 ft 10 inches Tom Carroll Signature Model Softboard is the best Softech I have tried. Designed in collaboration with 2 x World Champion Tom Carroll. The TC Signatue models offer a feel and performance of a fibreglass board with the fun, float and safety of a softboard. Beginner riders can comfortably find their feet on this safe & stable all-rounder. Ride this board as a traditional Tri (3 fin), or faster Quad (4 fin) setup. Loads of fun in all surf conditions & riders will find it a great surfboard to advance on as their confidence grows. More advanced riders will love how responsive the board feels, & can always screw in their favourite FCS fins for that extra edge.